The European Union's data privacy law, the GDPR, states that you should refrain from tracking the activity of people in the EU, unless you have their permission. Mixmax makes it easy to comply with this law: Mixmax will detect if you’re safe to track a recipient’s activity, and will disable tracking as needed, without you having to think about it. 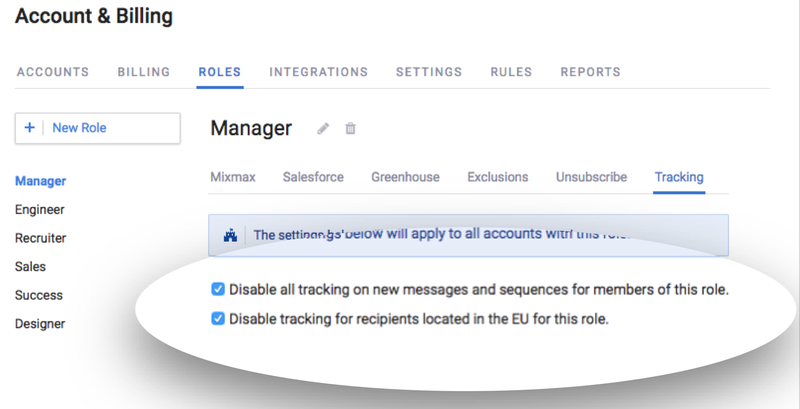 Go to the Tracking Settings page, and click the box next to Disable tracking for EU recipients. Organization admins can set this up for their organization, so that everyone complies. Settings can be controlled by role. Go to the Roles section of your Account & Billing page. Select a role on the left. 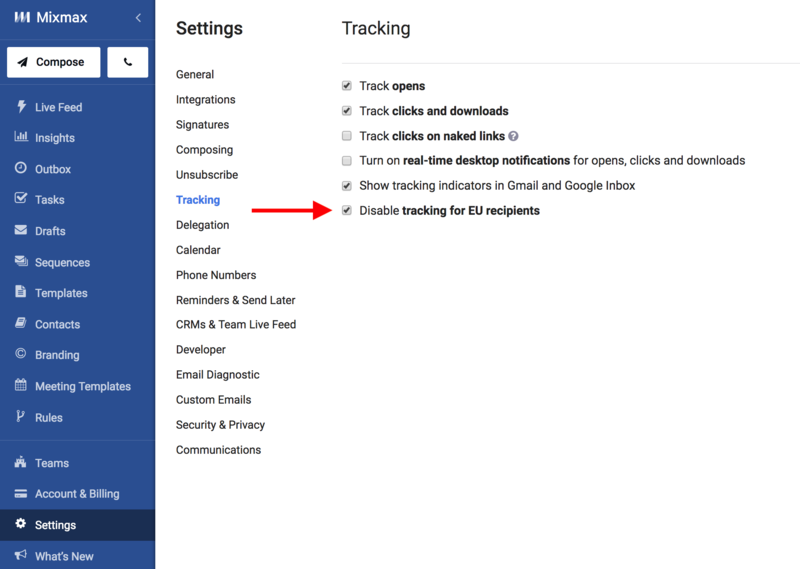 Click Tracking, and check the box next to Disable tracking for EU recipients.